Online Holiday Raffle – Win a great surprise Christmas gift! CLICK NOW for your chance to WIN one of the great prizes listed below! Win a great surprise Christmas gift. Each raffle ticket costs $10. $100 gets you ten chances to win the perfect surprise Christmas gift! 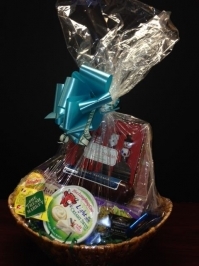 The raffle will remain open until 5:00pm on Wednesday, 12/18/13. Winning tickets will be drawn by randompicker.com at 12:00pm on Thursday, December 19. 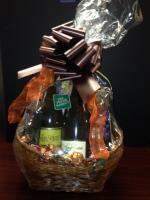 Winners will be notified via email and arrangements will be made to deliver (or pick up) your prize before Christmas. 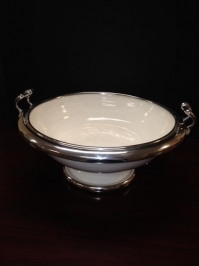 Click here to purchase your raffle tickets now! 7.9″ LED-backlit display; A5 chip; 5.0MP iSight camera with 1080p HD video recording; FaceTime HD camera. Retail value at $299.99. Two wines, Mer Soleil and Kind Estate, along with several decorative wine openers and stoppers. Cheese, crackers and Godiva chocolates make this an excellent gift! Value at $120. The Fresh Market Basket: Two’s Company “Holiday Charm” Set of 4 Cheese Knives, Milton’s Original Baked Crackers, The Laughing Cow Creamy Swiss Spreadable Cheese Wedges, Mini Babybel Semisoft Cheeses, Ines Rosales’ Seville Orange Sweet Olive Oil Tortas, Sliced Meat, Nueske’s Beef Summer Sausage, and Ghirardelli Chocolates! Value at $75.00. 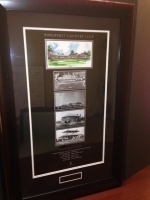 Framed poster with photos of the Pinehurst Country Club from 1901, 1916, 1951, 1977 and 2013. It lists the Major Championships held at Pinehurst. Great addition to any office! Value: priceless for the golfer in your life!